Technology is helping New Zealand businesses vastly reduce the amount of time that they spend on their tax filling. On November 16th the Revenue Minister Michael Woodhouse and Small Business Minister Craig Foss announced that the results of new survey have shown that small businesses in New Zealand are spending a decreasing amount of time each year on their tax filing obligations. 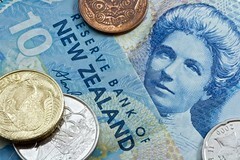 On average businesses in New Zealand spend 27 hours each year on their tax compliance. The current time spent on compliance is 25 percent less than the amount of time which was spent in 2013. The results of the survey showed that business owners found that recording information was the most time consuming aspect of their tax obligations. GST was found to be the most time-consuming tax type, requiring an average 14 hours of work each year, although in 2013 the total time needed was 24 hours. It was noted by the Ministers that the time needed is falling due to an array of digital enhancements. It was also noted that the time required for PAYE compliance will soon drop, as the government readies to streamline the processes through payroll providers.